This probably won't come as a surprise to many of you, but . 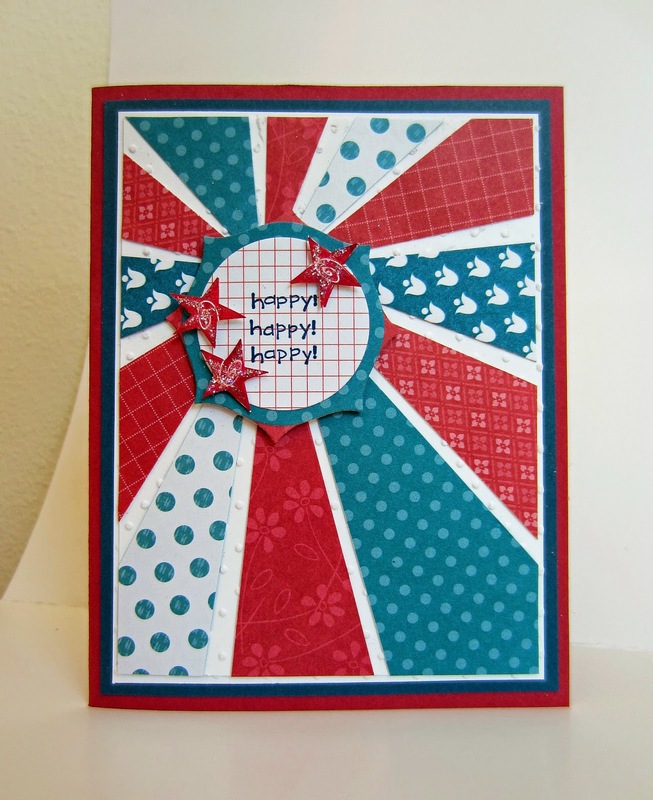 . . Others may be comPLETEly surprised to learn that the blue background of this card started out as Whisper White! Cool, huh? 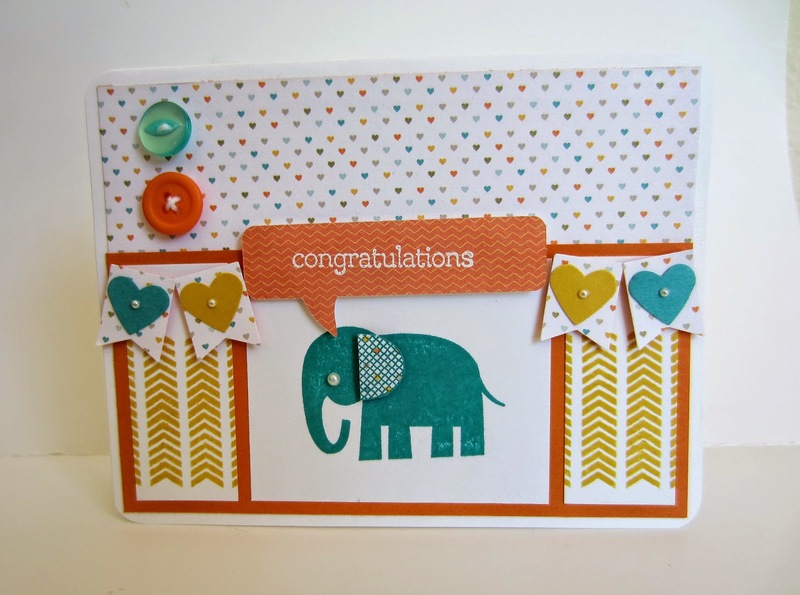 To those not already acquainted, let me introduce you to EMBOSS RESIST. It is an incredibly easy and SATISFYING technique that you should definitely have at the ready. It is perfect for so many instances. This one, for example. 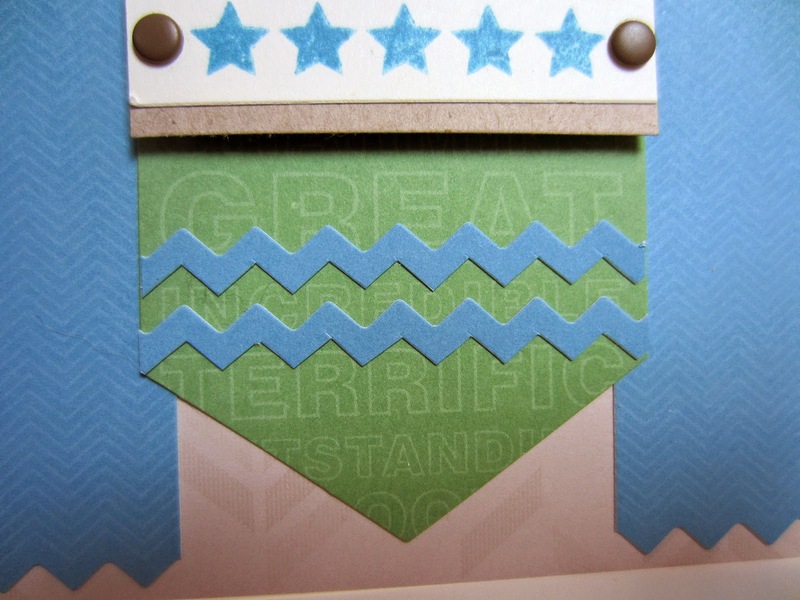 A word of warning though: When doing Emboss Resist, be sure to diligently use your Embossing Buddy. 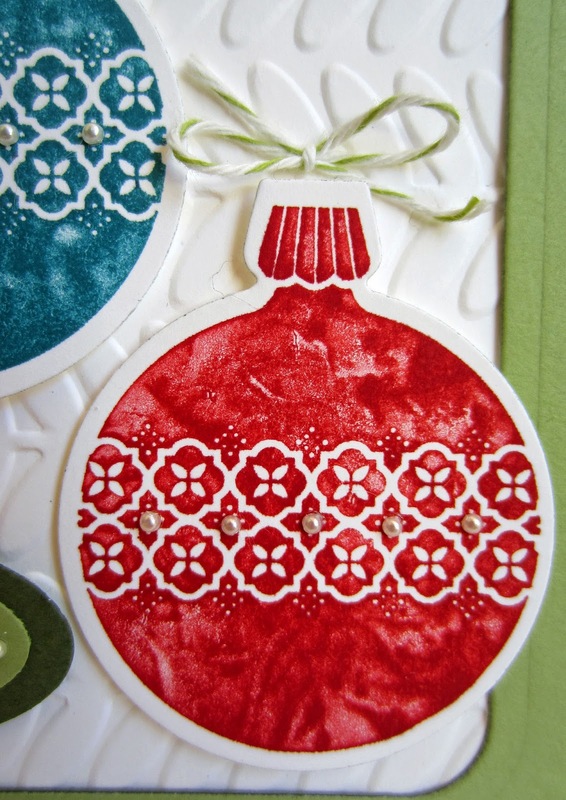 The results of this technique are not nearly as pretty as they should be if you have little dots and spots of stray embossing where you do not want them. 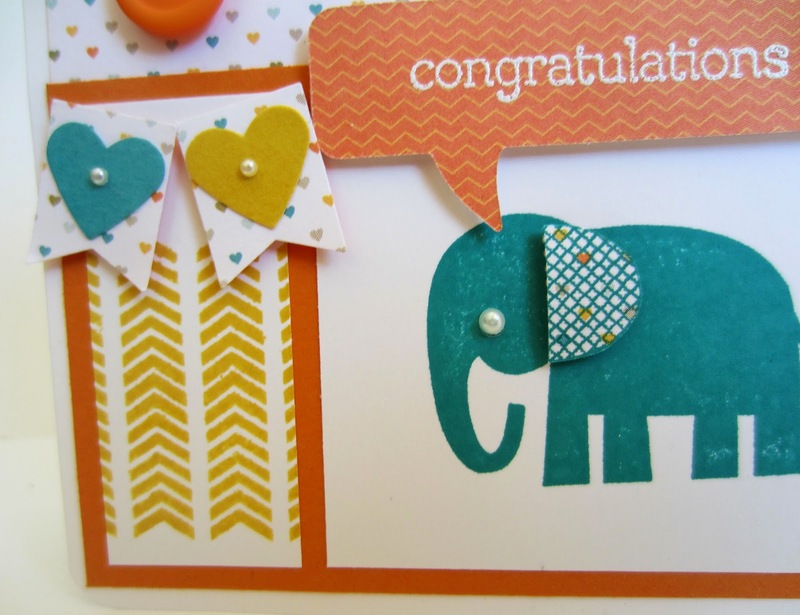 So, before starting anything, carefully rub your Embossing Buddy over the surface of your Whisper White (or whatever color you are using) cardstock. This will minimize the incidence of stray powder being embossed onto your project. Can be VERY unsightly! 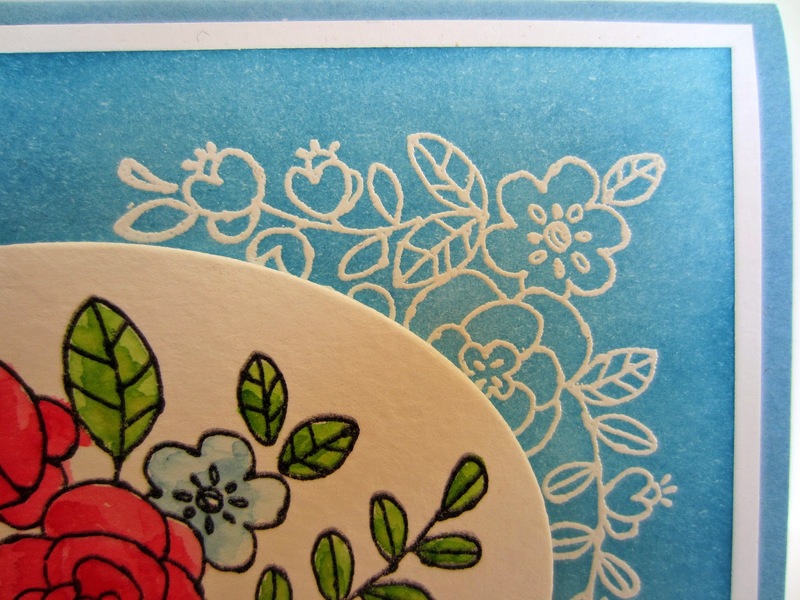 Basically, you stamp your image(s), in this case, the two corner flower stamps, in VersaMark ink. 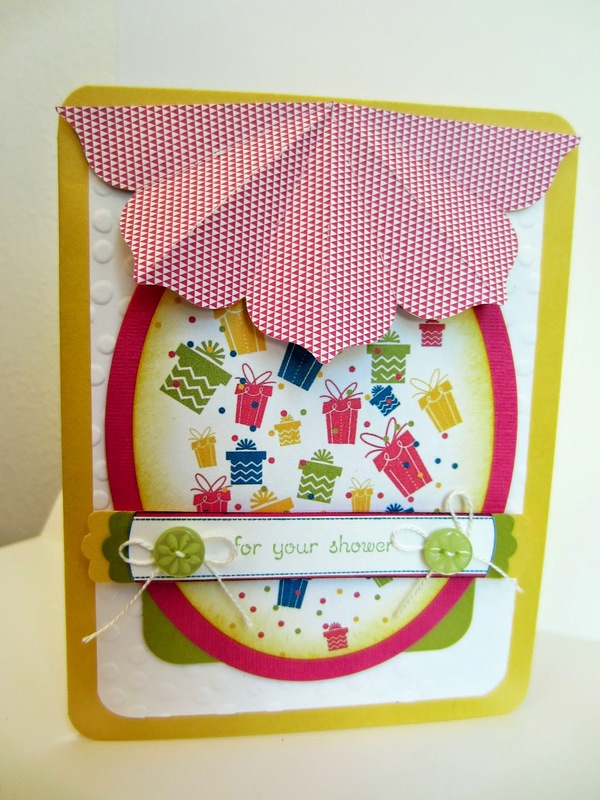 Since this card started out as a white background, you could use either Clear Embossing Powder or White Embossing Powder. 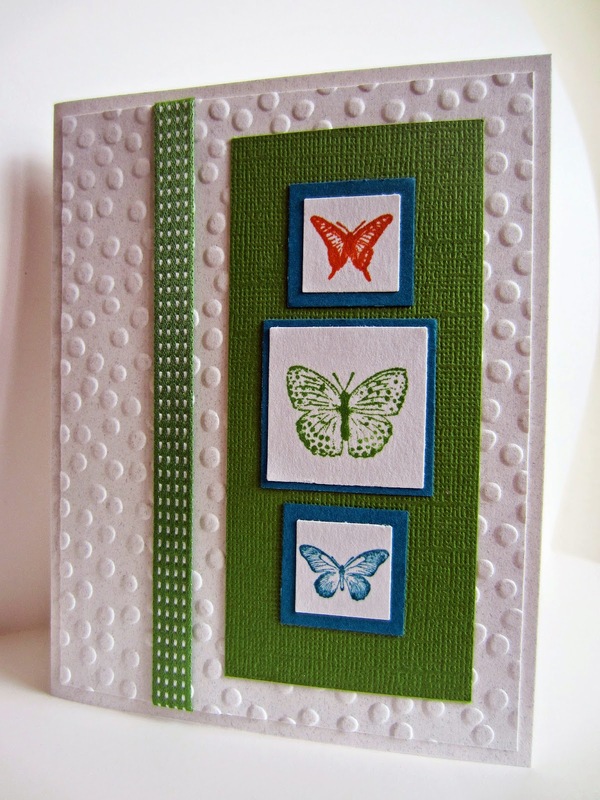 The reason Clear would work equally well is that the white of the cardstock will show through after it is heat embossed. 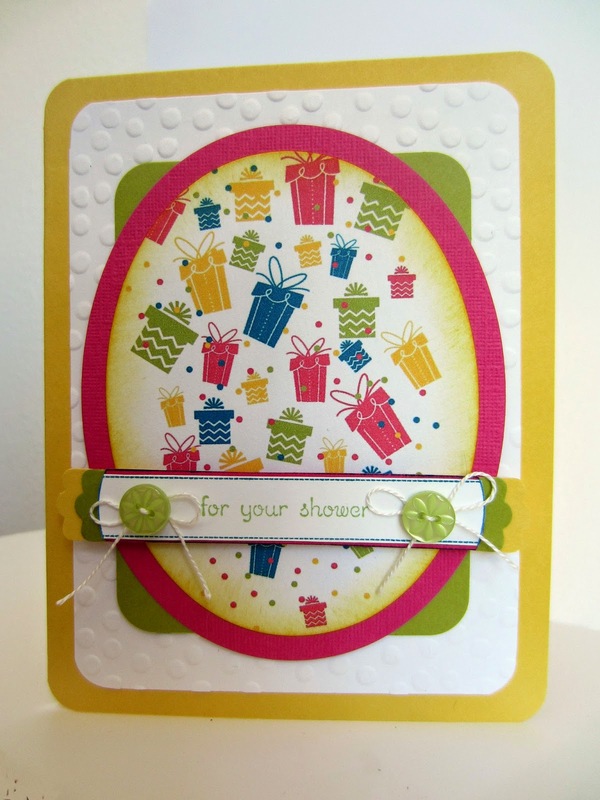 For this card, however, I used White Embossing Powder. 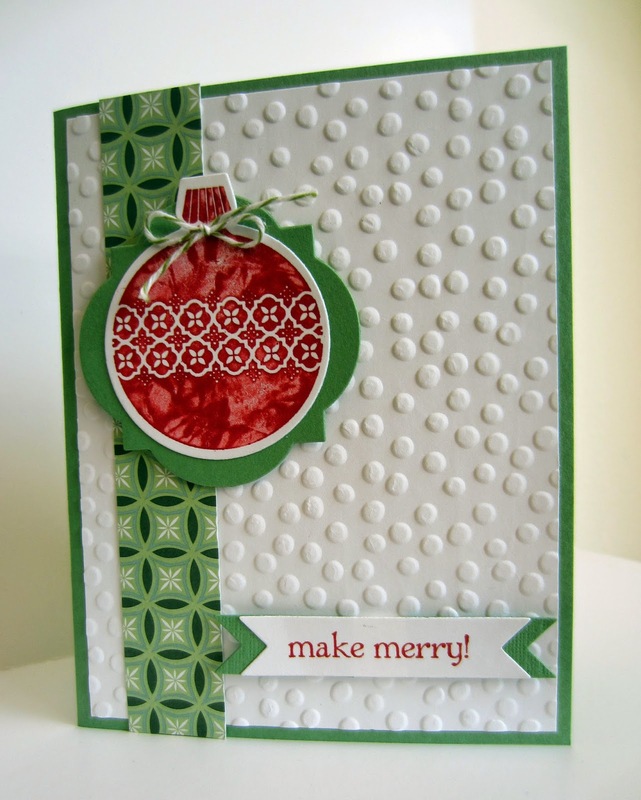 Once your image is stamped in VersaMark, dump Embossing Powder liberally over the stamping. Then funnel the excess powder back into its container. 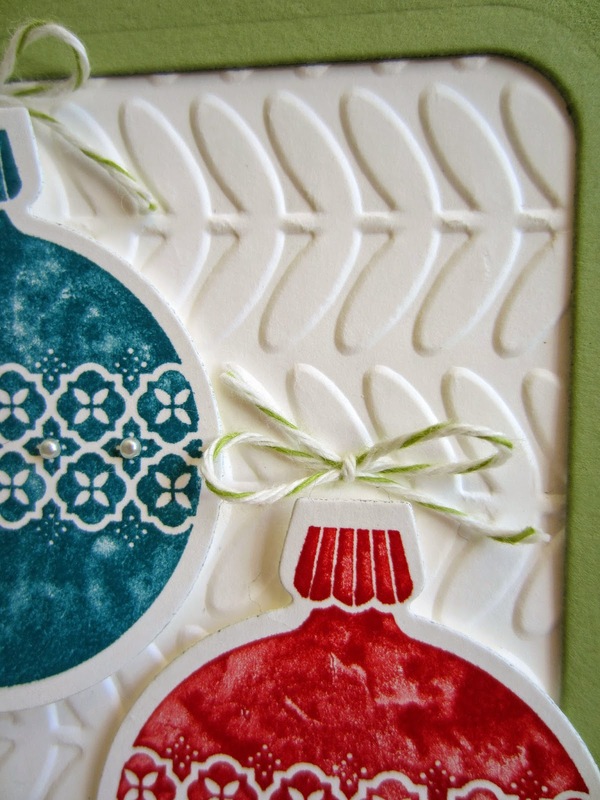 When embossing, very little of the powder goes to waste if you are careful. Flick the back of your piece with your finger to release the final excess powder. Then, heat to emboss, making sure your images are completely shiny. If there are any powdery areas, hit those spots again with the Heat Tool. 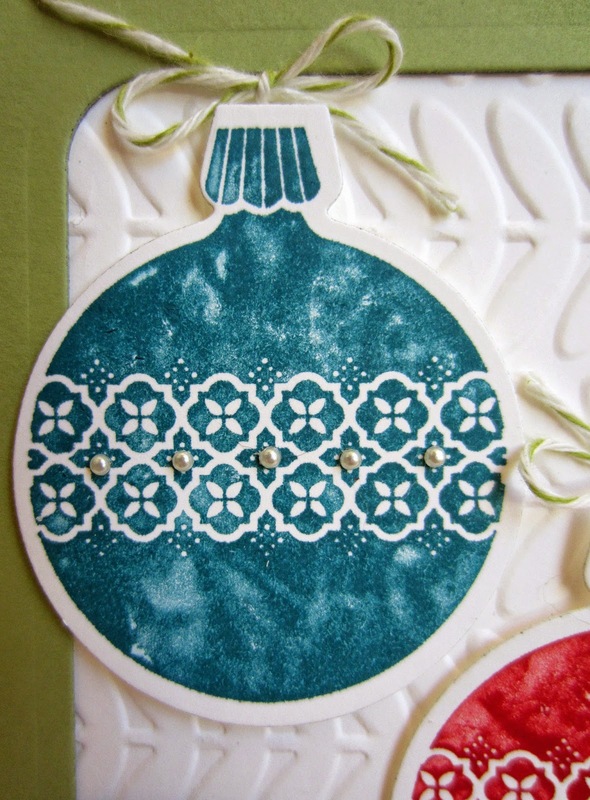 To do the resist, take a Stamping Sponge, dab it into your ink (I used Marina Mist here) and with a circular motion, starting off the paper, add the ink to the entire background. Start out softly and gently. You can always add more color. But you cannot take it away. And it can get sort of out of control quickly if you are not careful. 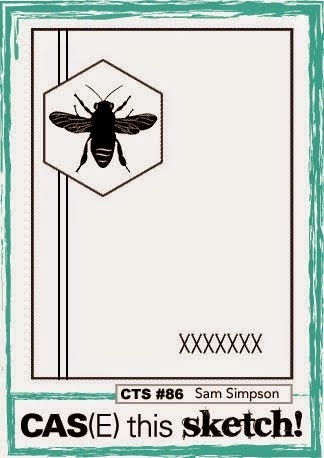 For my card, I went over the entire background three times with the ink until I was satisfied with the intensity of the blue color. 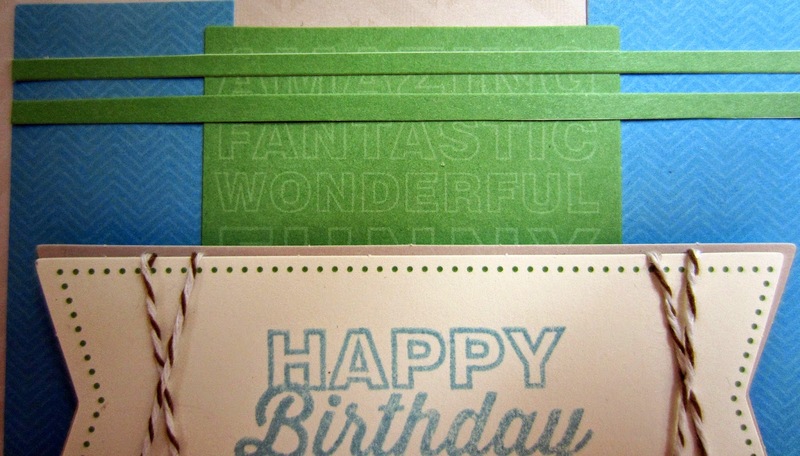 Once finished, take a tissue and carefully wipe the excess ink off the embossed areas. Unfortunately, this lovely stamp set is retired. I went through the current catalog though and discovered the following current sets that would work equally well: you'd have to be creative, but Apothecary Art on page 57 would be lovely; Everything Eleanor on page 69 would be awesome, using the swirl for the emboss resist, and the flowers formed into a bouquet for the center focal point; Flowering Flourishes, page 118, would work wonderfully for Emboss Resist, as would Garden Party on page 138; and several of the images from Flower Patch, a photopolymer set on page 156, would work well. 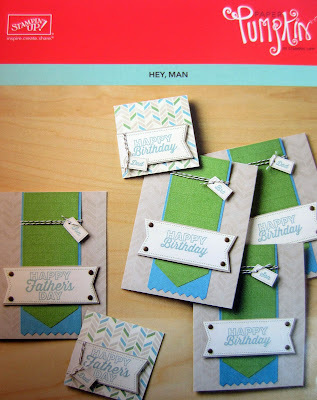 For your focal point, depending on how you want to treat that, MANY sets in the current catalog would work beautifully. 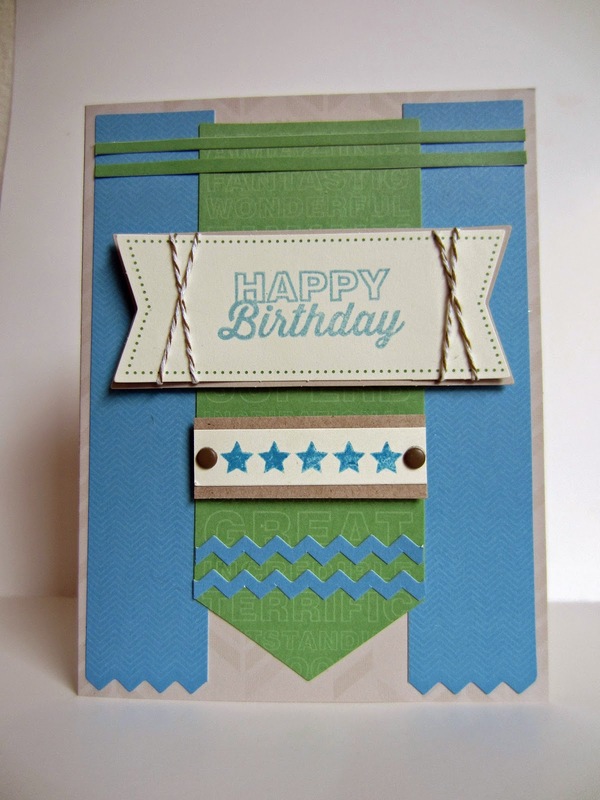 Fold an 8 1/2" x 5 1/2" piece of Marina Mist cardstock in half, creasing well with a bone folder. 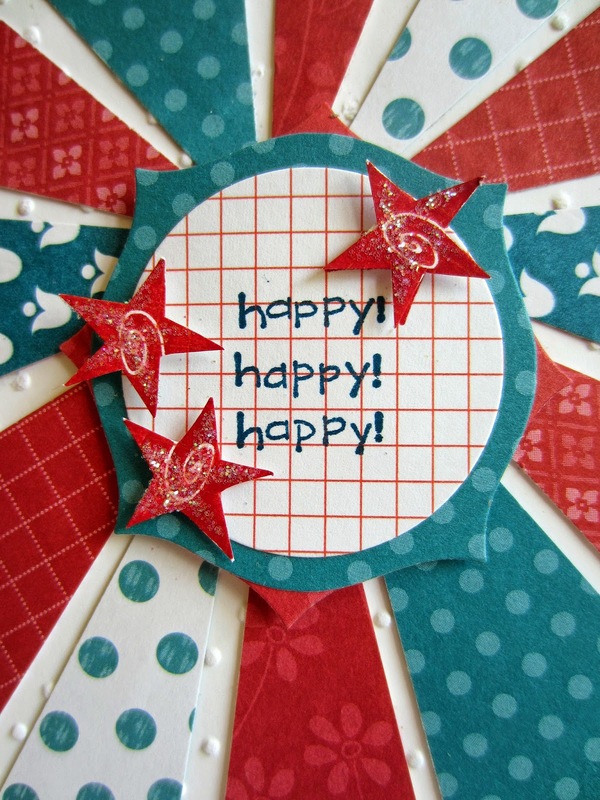 Adhere a 5 1/4" x 4" piece of Whisper White cardstock to the card front. 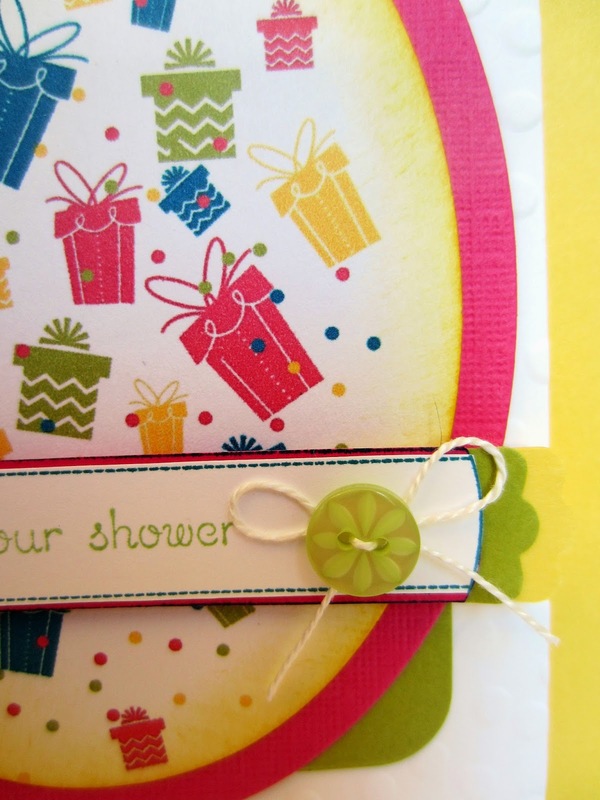 Rub a 5" x 3 3/4" piece of Whisper White cardstock well with the Embossing Buddy. 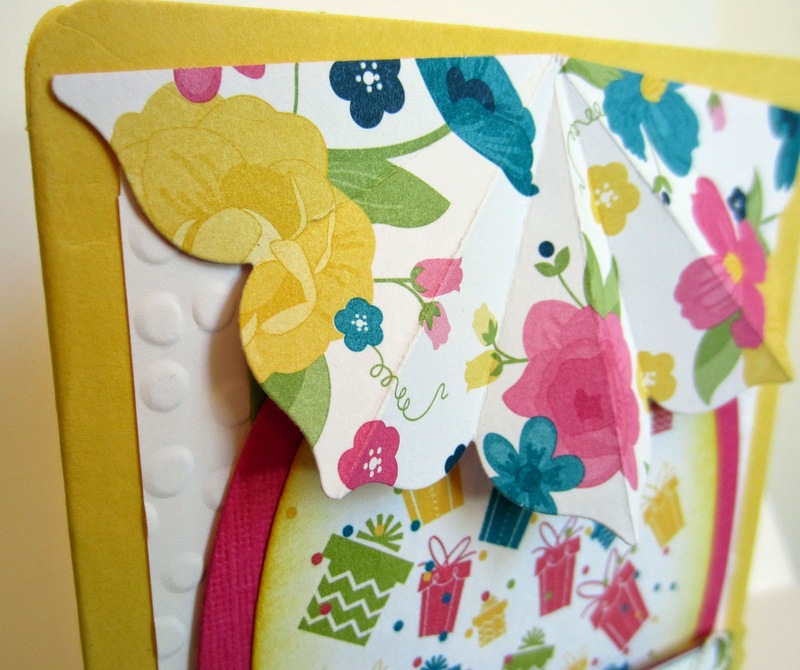 Stamp the corner flowers in two of the corners in VersaMark Ink. 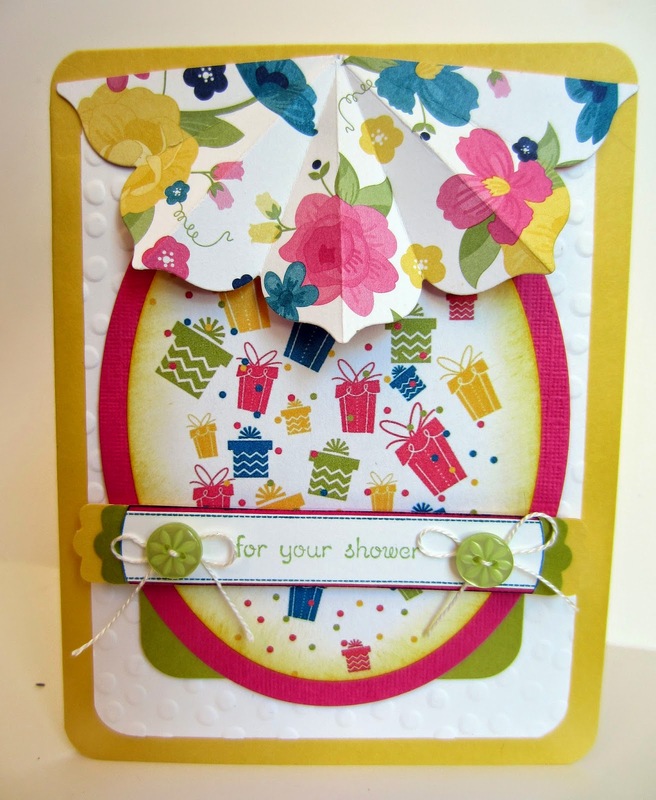 Sprinkle the stamped flowers with White Embossing Powder, tapping excess powder back into its container. 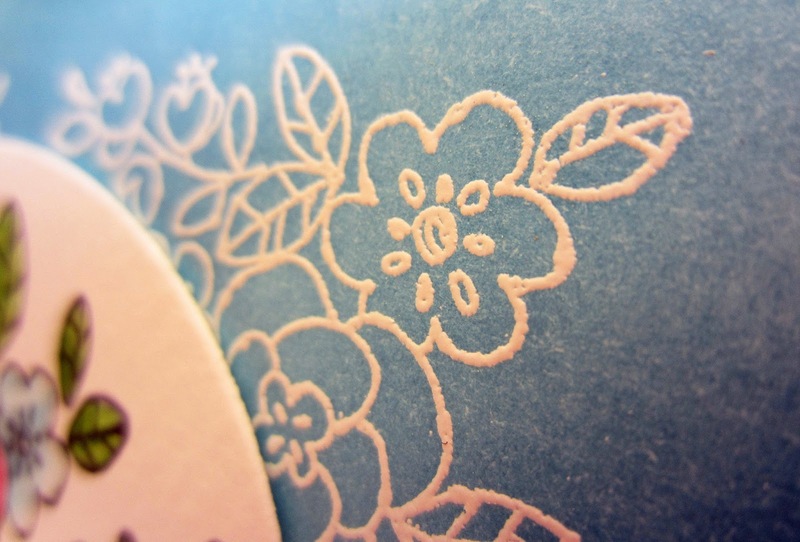 Heat to emboss, making sure all the flowers are shiny and embossed. Gradually, in circular motions, sponge Marina Mist Ink onto the embossed piece. Repeat this until you are satisfied with the intensity of the color, making sure the ink is blended evenly for the best appearance. 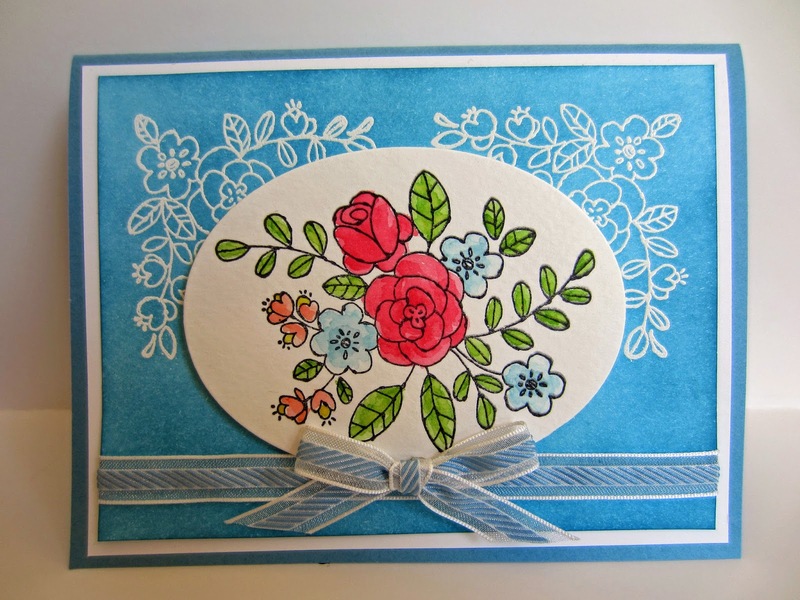 On an oval of Watercolor Paper, stamp the floral bouquet in Black StazOn Ink. Using an Aqua Painter directly on the various ink pads, "paint" in the flowers, either as in the sample or as you desire. 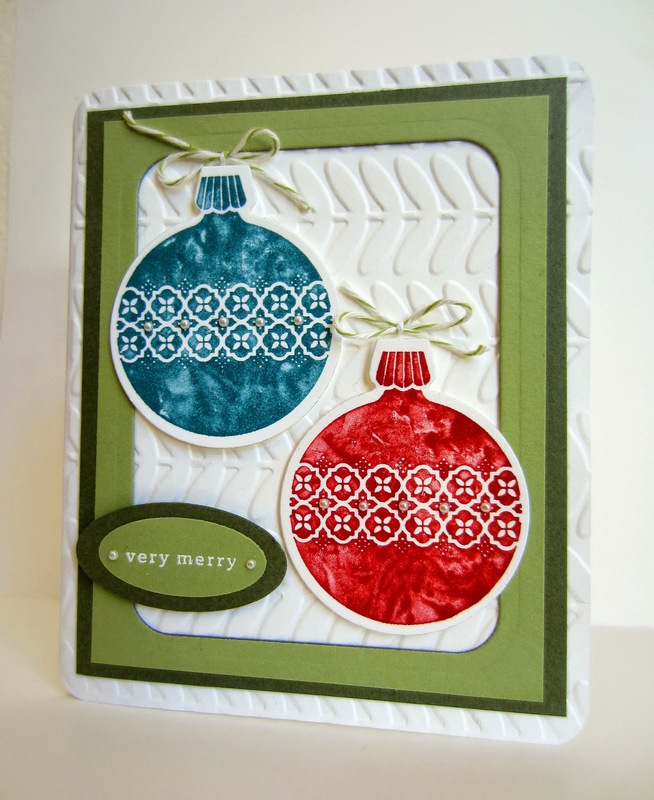 Adhere the oval to the Emboss Resist piece with Stampin' Dimensionals. Wrap a piece of ribbon around the bottom of this piece, taping the ends on the back side. 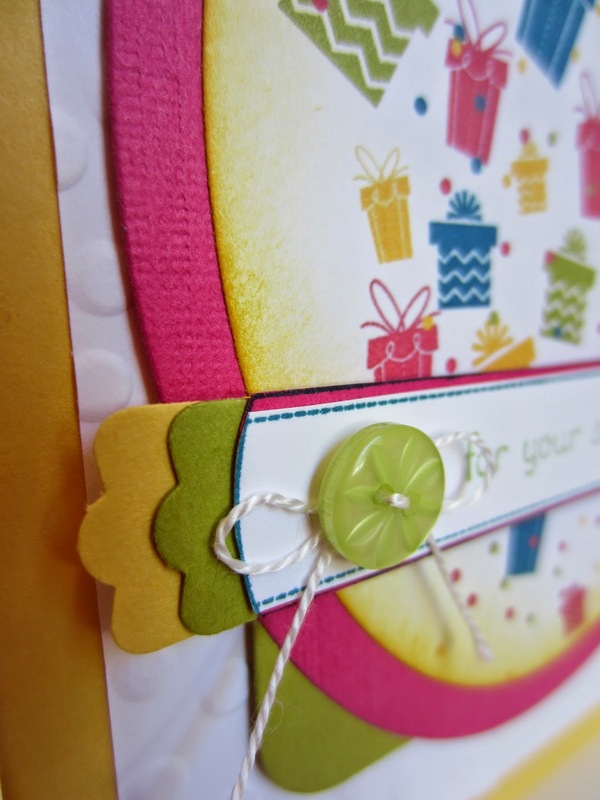 Create a bow with more of the ribbon, and attach it onto the flat ribbon, overlapping the bottom of the oval a bit, with a Glue Dot.